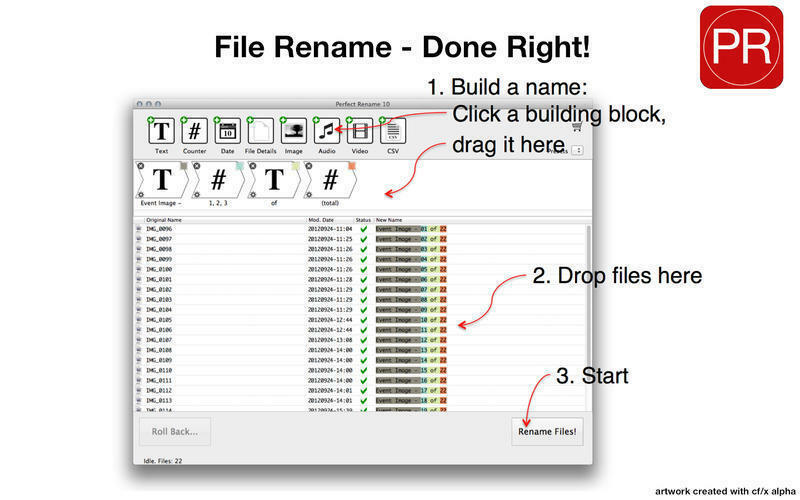 Quickly generate file names using blocks of information. Is there a better alternative to Perfect Rename? Is Perfect Rename really the best app in File Management category? Will Perfect Rename work good on macOS 10.13.4? 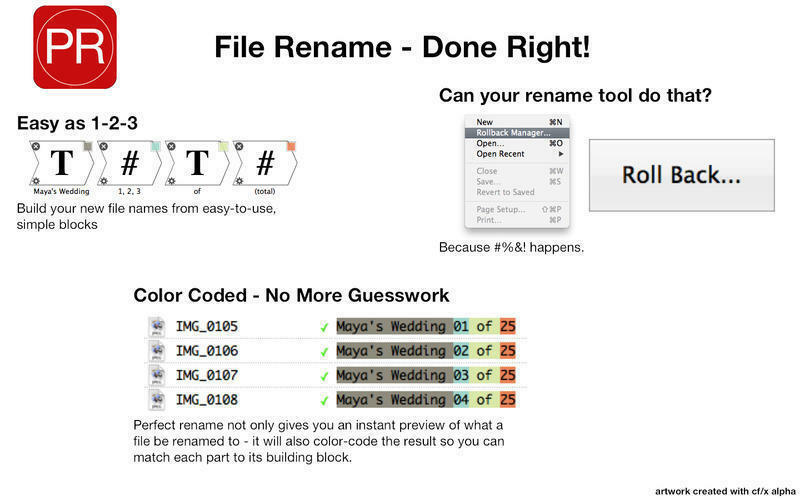 Perfect Rename lets users quickly generate file names using easy-to-understand building blocks of information. Look at the real-time results, hit 'Go'. Perfect Rename needs a rating. Be the first to rate this app and get the discussion started!